The 8th gen UltraNUC is now 100% silent thanks to the Akasa's new fanless chassis! Configured to your specification with memory, choice of M2 drive, operating system and Wi-Fi, you can even add a 2.5" drive! Get ready for truly immersive entertainment. The UltraNUC Pro 8 Fanless is built with a 8th Generation Intel processor all installed in Akasa's Plato X8 fanless chassis. So whether you're streaming the latest movie or need to finish that last minute presentation, you've got the performance to handle it with ease. With dual-array front microphones, you can take full advantage of Windows 10 and Cortana. Now you've got your own digital personal assistant to keep you on time to appointments, help you send email or find that new recipe. Intel NUC Kits also supports 4K at 60 Hz via an HDMI 2.0 port. Intel 8th Gen NUC Core i3-8109U 2C/4T 3.0 - 3.6 GHz ? 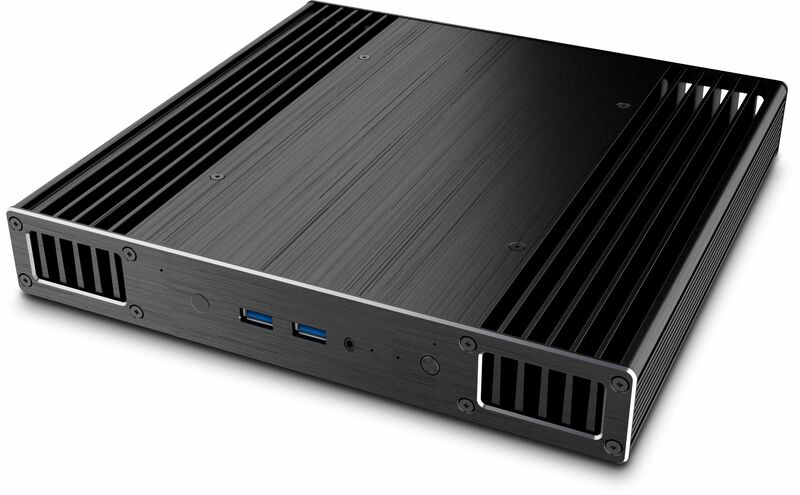 Intel 8th Gen NUC Core i5-8259U 4C/8T 2.3 - 3.8 GHz ? Intel 8th Gen NUC Core i7-8559U 4C/8T 2.7 - 4.5 GHz ?